Cebu is one of the popular and world renowned tourist destination here in the Philippines. Cebu is surrounded by crystal blue water and is home of the finest world class white sand beach resorts, beautiful dive sites, luxury hotels, fine restaurants, wild nightlife and tourist attractions. Cebu has it's own international airport and seaport. Cebu has many to offer to tourist and visitors because of its cultural and historical heritage, natural attractions and amazing landmarks. The centuries old churches that marks the heritage of Cebu are also the showcase of it's tourist attractions. Cebu is a great starting point if you want to explore other beautiful and enchanting island in the Visayas and Mindanao area. Cebu is one of the busiest and progressive island in the Philippines. With its international airport and thriving seaport, Cebu is an island paradise getaway in Central Visayas Region. Cebu offers everything including scuba diving and snorkeling. Cebu is one of the most visited diving spot in the country and one of the most popular diving destination. It is home to a good number of resorts. Cebu is the home of one of the most popular Philippine festival here the Philippines called "Sinulog" Festival. Celebrated in the City of Cebu where people are dancing with a chant "Pit Senyor" to the Santo Niño. a lot of tourist and visitors come here in Cebu to witness this Sinulog Festival in which it illustrates the culture and history of Cebu. Here in Cebu, you will experience scuba diving on world class dive sites like in Malapascua, Moalboal, Pescador Island, Sunken Island and dive sites in Mactan Island. Cebu is also a divers paradise haven. There are still more dives sites here in Cebu that are unexploited. Amazing and exotic underwater marine life can be seen in these dive site. The blue crystal waters of some of the dives sites offers a good view of beautiful and colorful coral gardens, sponges and many nudibranchs. Direct flights from Hong Kong, Singapore and Japan. Internal flights From major cities in the country. Transfer to sites 1-3 hours. Apo Island: This dive site has a depth of 5 to 35m with a moderate current. 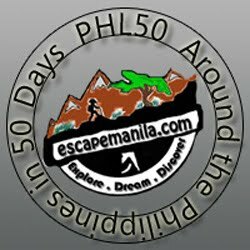 This dive site is one of the best in the Philippines. Apo Island is located south of Sumilon Island. Apo Island has eleven main sites to choose from. There is a marine sanctuary on the southeast. The area is covered with hard and soft corals and reef everywhere. This dive site has an amazing underwater wild life and the divers will see some wrasses, damselfish, tangs, surgeonfish and snappers in profusion. Not only that, divers will also encounter barracuda, tuna, dorado and blacktip and whitetip sharks. This is why Apo island is tagged as on of the best dive sites in the Philippines. Malapascua Island: This island offers beautiful and spectacular dive sites. Malapascua is located off the northern tip of Cebu and off the west coast of Leyte. Malapascua Island is becoming popular. Diver discovered that Malapasua is a divers paradise. The crystal blue waters of Malapascua brings out the best of its diving sites. Diving sites of Malapuscua offers best diving because of the coral formations and a variety of marine life like Manta rays, yellowfin, smaller reef fish, devil rays, eagle rays and hammerheads, rogfish, various sweetlips, cuttlefish, lionfish, commensal shrimp and etc. Some of the dive sites in Malapascua Island are Capitancillo Island, Calangaman Island, Quatro Island, Kimod Reef, Gato Island, Monad Shoal and etc. There are also five wrecks in the vicinity that offer decent diving. Moalboal: Located in the southwest of Cebu city with a couple of hours drive. Moalboal have numerous magnificent diving sites to offer. These dive site offers sea adventurers the opportunity to have a good view to the variety of coral life and marine life. Dive sites here are ideal for photography. Fan corals and gorgonians are everywhere as are sponges, crinoids and shells. Divers will also encounter Reef fishes like sweetlips, tangs, gobies and lionfish. You will also encounter large pelagics including shark, barracuda, tuna, manta rays and groupers. Dive sites in MoalBoal also have superb drop-offs overhangs all around. Some of the spectacular and enchanting dive sites in Moalboalare Ronda Bay, Tuble Reef, Tongo Point, Lambug, Pescador Island and etc. Sumilon Island: Thisdive site has a depth of 18 to 40m with a moderate current. Sumilon Islandis located at the southeast tip of Cebu. Sumilon Island is the first marine santuary that has been established in the Philippines. This dive site has anexcellent visibility and a variety of exotic marine life can be seen here like a good variety of pelagics, including rays, tuna and jacks with whitetip and hammerhead sharks being occasional visitors. Whale shark can sometimes be seen in this site. Mactan Island: Mactan Island has numerous world class white sand resorts. Mactan ia a coral island which lies just off the coast of Cebu. Many locals from Cebu go here in Mactan to take a dip to it's clear blue crystal waters. Mactan is also jump-off point to island hoppings in the Visayas Region. Mactan Island has plenty of tourist facilites and has a well developed diving infrastructure. It offers the best diving sites to the sea adventurers. Diving sites in Mactan area offers magnificent variety of marine life. The dive sites are group into 3 sections the Olango Island, Tambuli and Marigondon Reef. Great website. A lot of helpful information here. I am sending it to some buddies ans additionally sharing in delicious.